Austin 360 Roofing Joins the San Antonio Apartment Association | 360 Roofing, LLC. (AUSTIN, TX – April 18, 2011) Austin 360 Roofing is now a member of the San Antonio Apartment Association. Other professional industry groups that the company participates in include the Better Business Bureau, National Roofing Contractors Association, Texas Apartment Association and the Austin Apartment Association. Austin 360 Roofing serves the entire central Texas region, but is particularly active in the San Antonio area. The company recently replaced the roof on a building at the South Texas Medical Center and was a 500 Club Member during this year’s San Antonio Stock Show & Rodeo. The company is also active in the San Antonio residential roofing market. The San Antonio Apartment Association is a trade association of owners, managers and suppliers of the rental housing industry serving 21 counties in South Central Texas. The Association serves as a professional, unified voice to address common issues affecting the industry and community at the local, state and national levels. For more information on the San Antonio Apartment Association see www.saaaonline.org. 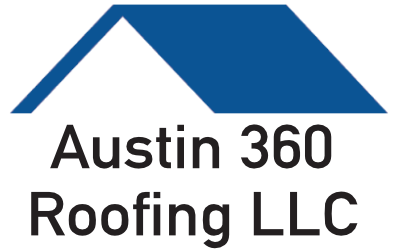 Austin 360 Roofing, founded in 2007, is a full-service Texas roofing company specializing in commercial structures – including office buildings, apartment complexes and industrial parks – as well as residential houses. The company provides expert craftsmanship on flat roofs, metal roofs, asphalt shingles and tile roofs, and also offers green roofing solutions that help increase energy efficiency. Additionally, Austin 360 Roofing is an insurance claim specialist that manages all aspects of insurance assessments and negotiations for roof repair due to hail, rain, lightning, wind and fire damage. The company is locally owned and operated in Austin, TX, but serves the entire Central Texas region, as well as the Dallas and Houston areas. For more information see www.austin360roofing.com. Product and company names herein may be trademarks of their registered owners.